To make a room reservation, please email ursc@purdue.edu at least 24 hours in advance or visit the Student Associate desk at the Shreve URSC entrance. The large meeting room is a versatile area that has the ability to serve many campus groups. This space provides two rooms, split by a sliding divider, that can be reserved, or one big room. The area has potential to seat 80 people; 40 on each side. This room is equipped with 4 AV monitors that can be controlled by the potable AV station, and two magnetic dry erase boards. 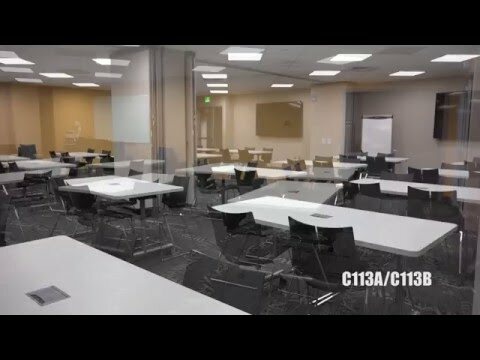 Click to watch a video of room C113. The small meeting room can host up to 24 people. This room has a projection system available for use, and three magnetic dry erase boards. 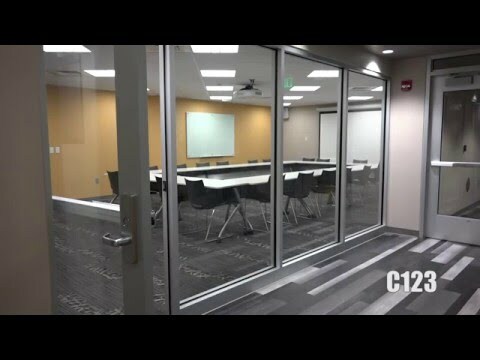 Click to watch a video of room C123. The large conference room can seat up to 16 people. This space is equipped with an audiovisual monitor that can connect with electronic devices, and a magnetic dry erase board. Click to watch a video of room C107. The small conference room can seat up to 8 people. This space is equipped with an audiovisual monitor that can connect with electronic devices, and a magnetic dry erase board. 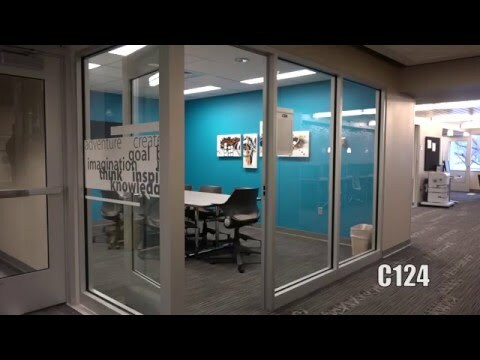 Click to watch a video of room C124. This is a comfortable space that provides an opportunity for students to work individually or in groups. 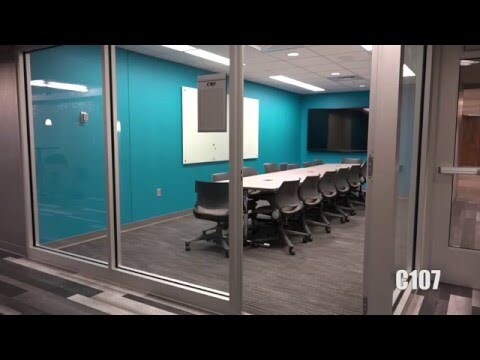 A few components of the collaborative space include: dry erase board tables, ceiling to floor dry erase boards, four audiovisual (AV) monitors, and awesome furniture. The quiet study area is located right outside of the computer lab. This area consists of a study bar with five individual stations and electrical outlets. Also in this space, you will find two lounge chairs with attached side tables. This space promotes individual study, yet collaboration is possible. Individual Study Rooms (C100A, C100B, C114, and C120): There are four individual study rooms throughout the URSC. The study rooms can be used for small groups; up to five people. This space consists of 15 monitors (13 PC and 2 Mac), supported by ITAP.